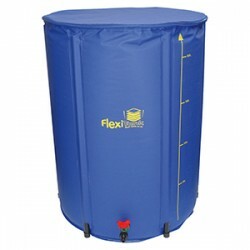 The AutoPot FlexiTank revolutionises water storage, it is everything you need in one compact box. It.. The heavy duty 47 litre Reservoir with Lid and Fitted Grommet is ideal for use with gravity fed or p..
Due Back In Within 3 Weeks. Low profile makes this tank ideal for making your own system. It includes plug and filter. L: 173..
Low profile makes this tank ideal for making your own system. It includes plug and filter. L: 110..
Low profile makes this tank ideal for making your own system. It includes plug and filter. L: 129..